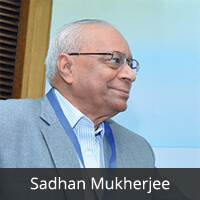 Mr. Sadhan Mukherjee is an educationist, a journalist and an author by profession. He has more than 55 years of progressive experience in various domains. Mr. Sadhan Mukherjee is Science Graduate from Calcutta University. In 1960 he pursued a Special Study of International Labour Law at ILO-WFTU College, Warsaw (Poland); followed by a specialized course from the International College of Journalism, Bernau, Germany in 1964. As a Journalist and Author, Mr. Mukherjee worked in several newspapers as Special Correspondent; Foreign Correspondent India Press Agency, Berlin; South Asian Representative of International Union of Journalists, Prague; Chief Editor Peace Courier, Helsinki; Executive Secretary, WPC (an International NGO with Category “A” status with ECOSOC at UNO. He has visited many countries and authored several books on contemporary politics and economic development besides travelogues and special reports. On return to India, in 1998, he set up a Computer education centre under licence from Electronic Trade and Technology Development Corporation, an Enterprise under Ministry of IT, Government of India, in 1998. Since then he has been active in higher education, especially its distance education mode. He joined Sikkim Manipal University DE as centre head in 2001 in New Delhi which soon became one of the top DE centres of SMU in the country. The centre won many laurels from SMU for its excellent work. During the last 15 years, he has written many articles on distance education and distributed learning.